paired with our experienced installation techniques, to give you all we can. All of the Durabuilt products we install are backed by warranty*. customised solutions and installation quality for your renovation project. of windows are not a problem. We can custom cut glass to suit your needs. 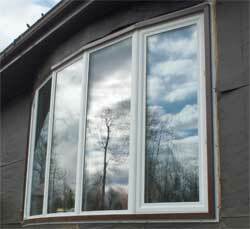 Glass also instals windows with internal shades also known as mini blinds. 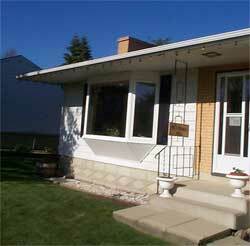 A wide variety of Durabuilt products we install can be found at www.durabuiltwindows.com. system and more than six percant of the actual selling price. Now that's a return on investment! 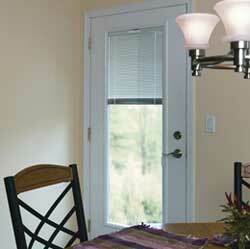 You can add a crank out system to any left, right, or double sidelight configuration for efficient, natural airflow. 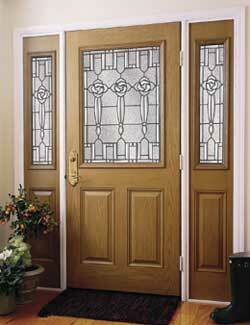 Front enteries with decorative doorlites not only personalise your home, they add tangible value and curb appeal. your new window or door. and garden doors. We can do screen repair and replacement as well. Not to metion that we can custom build you a screen to fit your needs. © 2010 Village Glass & Mirror Ltd.